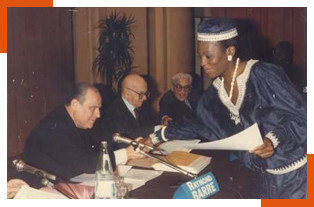 The ILERI, which was founded in1948, is the first private third level establishment of higher education to give the opportunity to students of all nationalities to focus on the study of international contempory relations. ILERI is an international school specialized in international relations since 1948, located in the 17th district of Paris. ILERI is a partner school of ILECI which was founded in 1988 by M. Raymond BARRE, accredited by the Ministry of Education, can receive grant students and prepares future specialists in economics and international affairs. Since its foundation, ILERI has been educating its students, according to market needs, for careers in international organizations, NGO’s, international companies, European institutions, public service (defense, environment…), diplomacy, local and regional authorities, think tanks, journalism, lobbying, consulting , etc. The initiation of such an institution was instigated by Mr. Albert de GEOUFFRE de la PRADELLE, in Paris, during the General Assembly of the United Nations. In this brand new context, the Ileri opened its doors to welcome its first students with the blessing of personalities such as Mr. Benjamin COHEN, then the General deputy Secretary of the UNO, also Mr. ALVAREZ, Judge at the International Court of Justice. The president was then Mr. Albert de GEOUFFRE de la PRADELLE, until his death in 1954. 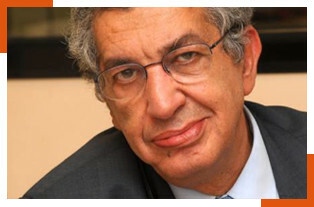 Depuis le 1er octobre 2014, c’est Antoine SFEIR, éminent politologue et journaliste, fondateur et directeur des Cahiers de l’Orient qui préside l’ILERI. His successor was another lawyer named Mr. René CASSIN who remained President of the Ileri for 20 years: during his stay, the Institute evolved considerably on the levels of structure and pedagogy. In 1976, Mr. Edgar FAURE replaced him and reorganized the Institution so as to follow the University structure and introduce new teachings and a new department on ‘economy and international business’. The work of Edgar FAURE who died in1988, has been followed up by Mr. Raymond BARRE who also develops the Institution and introduces new contemporary issues. The current President is Mr. Roger BURNEL, President of the IGS/ISM, (the Institution of Social Management).